I have recently purchased an acrylic spa, and the salesman strongly recommended that I keep a cover over it when it isn’t being used. Why is this? There are several valid reasons for using a cover on a spa when it is not in use. The first is obvious. A properly designed and insulated cover greatly improves the energy efficiency of the unit. The cover slows the rate of water evaporation, which removes heat from the water remaining in the spa. Also, evaporation control will result in maintaining proper chemistry of the water, which will reduce usage of the chemicals needed. These facts help control operating costs of the spa. It is probably understood by everyone that ultra-violet radiation from the sun is deleterious to all plastic materials. Acrylics have very good resistance to sunlight, which is why it is commonly use for windows, skylights, aircraft canopies, etc. But, it is not perfect. Although, we may not understand all of the ways sunlight harms polymers, we know we should minimize exposure. So, we strongly recommend using a cover when the spa is not in use. 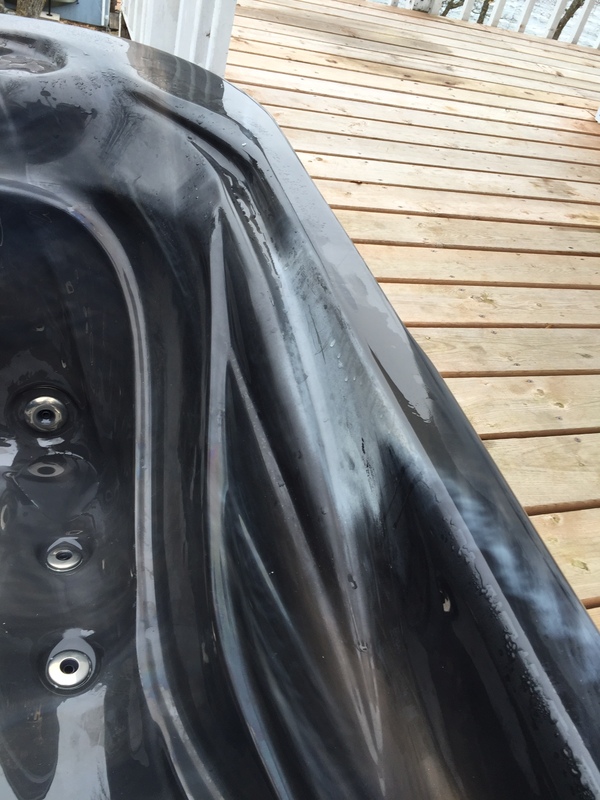 Another issue regarding acrylic spas is the formation of cracks or crazes. Both of these phenomena involve failures due to excessive stress. First, lets review the construction process. 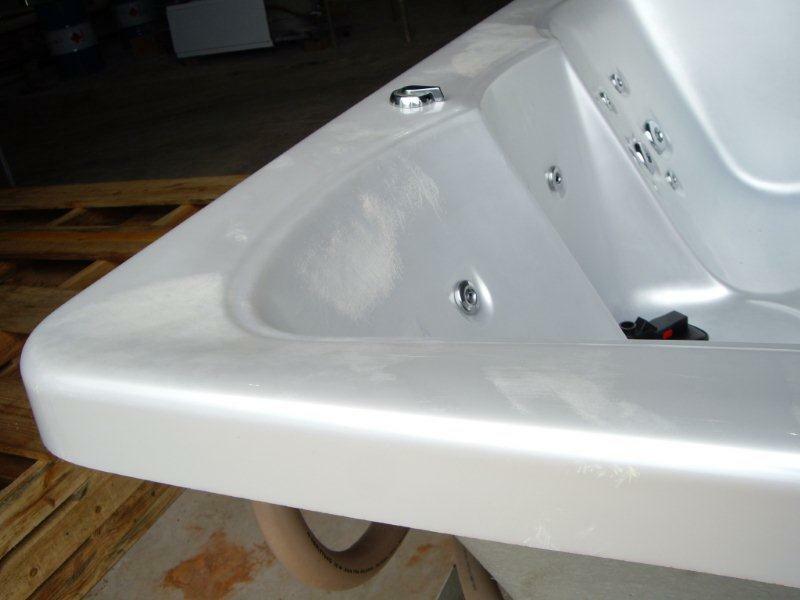 Acrylic spas are produced by heating and forming a flat sheet into a mold shaped like the spa. The sheet is stretched from the top rim into the bottom of the mold cavity (foot well of the spa). Obviously, several things happen. As the sheet is stretched, it becomes thinner, and weaker. The acrylic thickness in the foot well is normally in the range of .030″. This stretching imparts stresses, and some of the stress remains after it is cool. Then most “spa shells” are reinforced with polyester resins containing chopped fibers of glass. So it becomes a composite structure with each material having unique properties. Stresses exist throughout the spa shell, and arise from the thermoforming and reinforcing steps, and from the weight of water and people using the spa. Material strength is effected by temperature and exposure to chemicals. Crack(s) in the acrylic layer occur when stress exceeds the material strength. Stress can be based on thermal changes or induced mechanically. If covers are not used properly, the surface (acrylic) is subject to wide swings in temperature from sunlight during the day to very cool night temperatures. 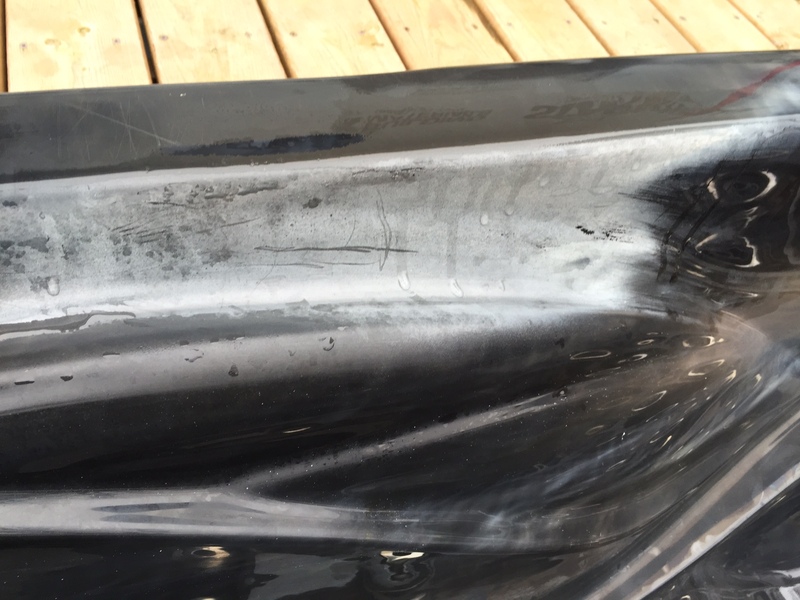 This heating and cooling can result in fatigue failure cracks from repeated expansion and contraction. The mechanical stress created by the combined weight of water and people also can lead to cracks. Therefore, these need to be minimized using adequate support devices under the shell – particularly under the seats. Increased temperature reduces material strength, so if stress and temperatures are high, a crack can occur. 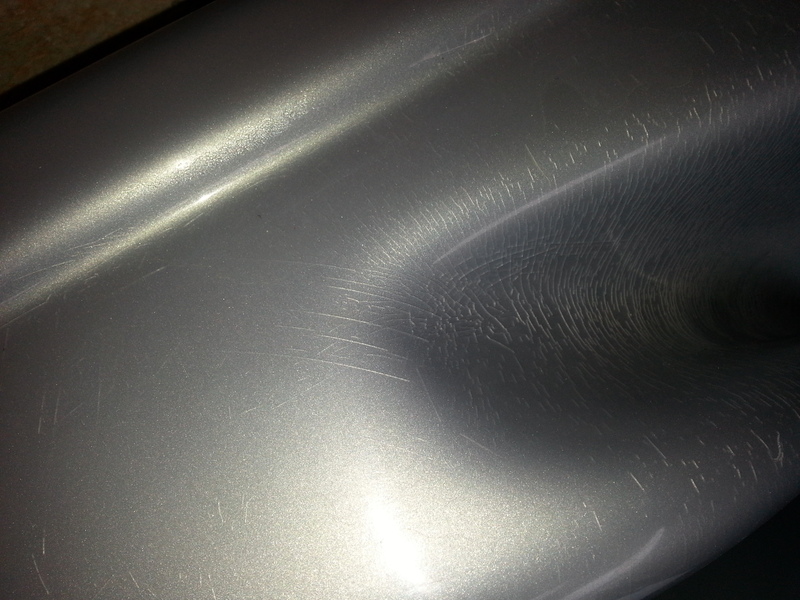 Since stress is typically highest at the spa rim, cracks generally start there, and propagate into the center. The use of a cover will minimize effects of temperature, and reduce probability of crack formation. See the picture for an example. of cracks at the rim. Another type of crack phenomena is crazing. A craze is different from a crack in that it can’t be felt on the surface, and it may be able to support a load. Many studies have demonstrated that two conditions must be present for stress crazing to occur on an acrylic spa surface. They are 1) high stresses within the acrylic and the 2) presence of a stress-cracking liquid or solvent. The presence of only one of these conditions does not cause crazing. Both must be present. Crazes form at highly stressed regions. Stress can occur due to thermal or mechanical forces. Crazing occurs mostly in amorphous, brittle polymers like polystyrene (PS), acrylic (PMMA), and polycarbonate (PC). 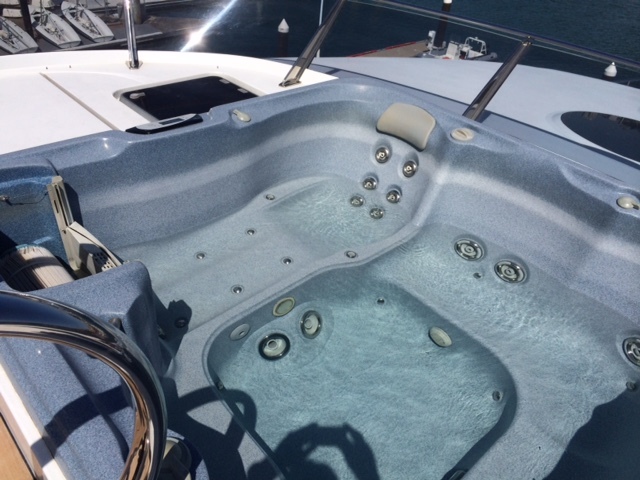 The acrylic used for spas is a specially designed to withstand the normal spa environment, but it will fail under harsh conditions. Crazing appears as very small micro-cracks on the surface (see photo). The stress pulls apart the tightly coiled polymer chains in the material. This condition makes it easier for liquid molecules to penetrate the molecular structure of the acrylic and diffuse throughout the polymer chains. The crazing mechanism is the stress cracking molecules act as a lubricant, which allows the polymer chains to separate from one another when stressed, creating very small cracks. Depending upon the amount of stress and the aggressiveness of the chemical agent, the small cracks continue to grow in size. Since the strength of the acrylic declines with temperature, the use of a cover will minimize thermal stress, and lower the risk of crazing. Since the over-riding cause of crazing is the presence of a chemical, it shows the importance of avoiding the use of stress-cracking chemicals on the acrylic surface. Only use approved chemicals for cleaning and maintenance of water chemistry. Finally, many manufacturer’s warranties are voided when covers are not used. I hope this helps to explain your question.